Is your code holding your company back? 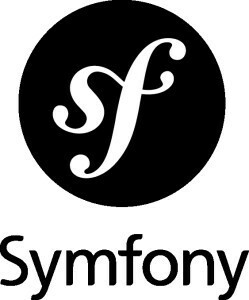 I just finished a post about how to set up a new Symfony Bootstrap site so it’s reusable for other web projects. As one of many php developers in the area, if you Google “php developers, Jacksonville”, for instance, you may find the list 10 pages deep. Be warned — as a freelance business analyst, someone who gets the business side of code, not all PHP developers have the experience that will help you scale your business. On the contrary, they could actually be impeding your growth. If your current web development team insists on doing it their way and aren’t on a PHP framework, you’re in for a bumpy ride down the road. The article is interesting for companies who feel like their web development is slowing them down because, in 30 minutes you can have a reproducible website template from which your web developers can then work on new website projects. Just click here and share it with your web development team. The sooner you move your team over to a PHP framework, the sooner you will start to realize the benefits and return on this investment. Web development ROI is usually flat if your coders don’t reuse and build from their previous projects. A framework encourages with structure and tools to them to do this so your company will realize COMPOUNDING RETURNS from your web development team instead of a straight line return. I’m not talking the simple WordPress websites, I’m talking about the sites that need to do more than store and display articles and basic web pages. Like your company’s inventory and sales reporting that connect to your Adobe Marketing or Google Analytics data so you can make those decisions to maximize future sales and avoid over purchasing products or making other mistakes common to those who suffer from an absence of useful business data. Let’s face it, without good data these days your luck will eventually run out because your “gut instincts” are nothing more than guesses. Systems should help you make more money and everyone in your organization should be able to feel its positive effects on your operations and bottomline. It’s that simple. If your systems feel like they’re obstructions or barriers, if you think they’re unresponsive to your growing marketing and sales needs, it’s time to assess before it’s too late! If you aren’t reliant on the web, inventory, sales or marketing data, and you don’t feel your systems need improvement, by all means, continue what you’re doing, of course the cost of opportunities lost cannot be easily seen, assessed, or measured and if your technology and systems have been, how do you know? How would you know?! If your company has been floundering around with legacy code and your web development team seems to be sluggish and uncreative, perhaps you need a consultant to review your systems and assess your code and databases and give you recommendations as to how you can modernize your business and move to a collaborative PHP framework that can scale quickly with your organization’s future needs? Your systems, code and web developers should never be obstacles to your company’s progress. If you sense they are, then guess what? They are. So what are you going to do about it? We have the proven experience of success to help e-commerce companies, retailers like luxury jewelry stores, publishers, media production companies improve their internal data systems and connect their sales and inventory data most efficiently to their websites and analytics tools to maximize sales and profits. Contact me — I have access to a great network of experienced and knowledgeable web professionals who understand the business side of things. I am first and foremost a business systems architect that can help you redesign and modernize your company and systems. Be careful if you are reaching out to any freelance web developer. That’s what makes how I manage web development different than most — I come from a design and media perspective and as a co-owner of an advertising agency in the early 2000’s for 8 years, then advertising director of a 57-store retail jewelry store chain, I helped grow businesses with effective marketing, web and business solutions across the spectrum with an emphasis on real market dynamics, solid marketing analytics and research — all from a profit-centric perspective focus on results.